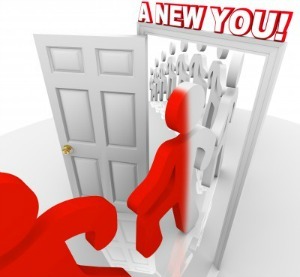 Gaining Self Confidence For A New You! Gaining self confidence gives you that feeling of being sure and certain about yourself. Remember your first high school dance? Can you recall how nervous and unsure of yourself you felt back then? You probably couldn't get up the courage to take a turn around the dance floor. If you did, surely all eyes would be on you and your awkward dance moves. You probably thought if only you could get the confidence to get on the floor, and move and sway to the beat like others...you would be one happy individual. As an adult, do you find yourself having those same feelings? If so, read on...you are not alone. Although the process of gaining self confidence starts from your childhood, that doesn't mean that you were born with it. As you move through life, you can gain confidence through your determination and support of family, friends and colleagues. Your confidence can grow, flourish, ripen and blossom...until you actually begin to feel as though there is a different person inside of you. Whether you know it or not, you already have all of the tools you need to feel good about yourself. Feeling good about yourself is a good first step toward gaining self confidence. Feeling good about who you are also means understanding and putting to use your strengths and capacities. You must never rely on the approval of others for affirming your existence. It is enough to know that you have the capability and potential to take some sort of action, and the guts to do it...no matter what others may say. People who are confident take advantage of the opportunities that come their way. Begin Taking stock of your achievements. Find out what your strengths are and use them. Do those things that allow you to express who you are, to feel good about whom you are, and that help stretch your self assurance. Honor and respect yourself as you are. Many people have a deep desire to be more self confident. Yet they have no idea how to go about achieving it. They look at others who have the gift...while longing for those same feelings within themselves. Some even obsess about what others think of them - or worry about disappointing other people. They feel they have been cast in certain roles simply because that's the way it has to be. It doesn't have to be that way at all. These are self defeating thoughts when it comes to gaining self confidence. Having traveled down that path, I constructed my 10-step Confidence Boosters. I do hope you will seriously consider making some of those your own. Click here to see my plan. Remember Your First High School Dance? Do you remember your first high school dance? I remember mine...and blushing as I remember it. Tell us about yours. What was it like? What do you wish you would have done differently? How would you describe your self-confidence level at your first high school dance? How about your partner? Were they more confident than you, or about the same?